“Slave Coffle, House of J.W. Neal & Co, Washington, DC,” Histories of the National Mall, accessed April 25, 2019, http://mallhistory.org/items/show/230. 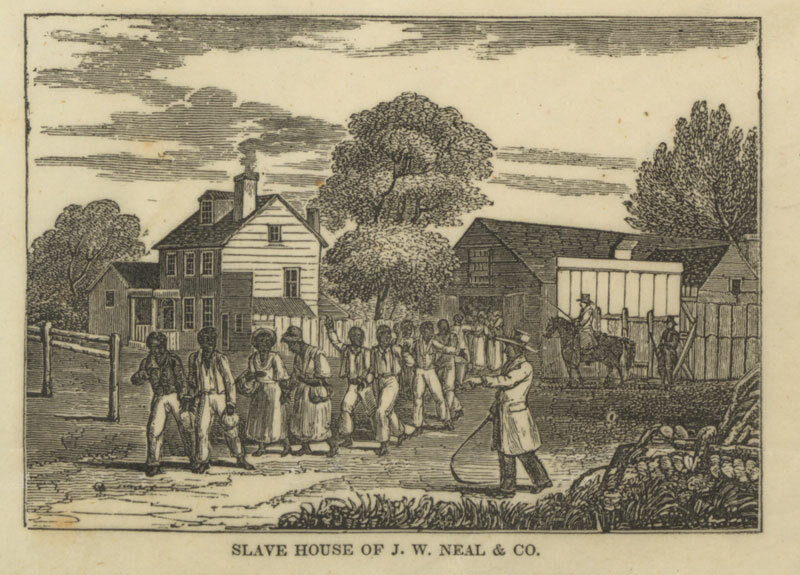 This image of slaves chained together marching from the House of J.W. Neal & Co.in Washington, DC, was published in a broadside (or poster). The broadside was printed during an abolitionist campaign in 1835-36 designed to pressure Congress to end slavery in the nation's capital.